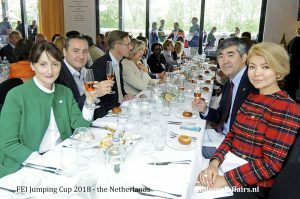 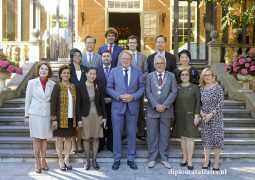 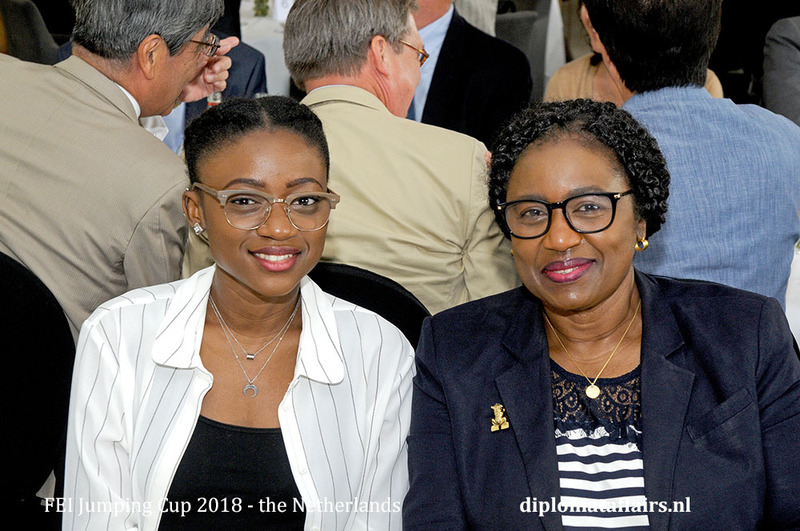 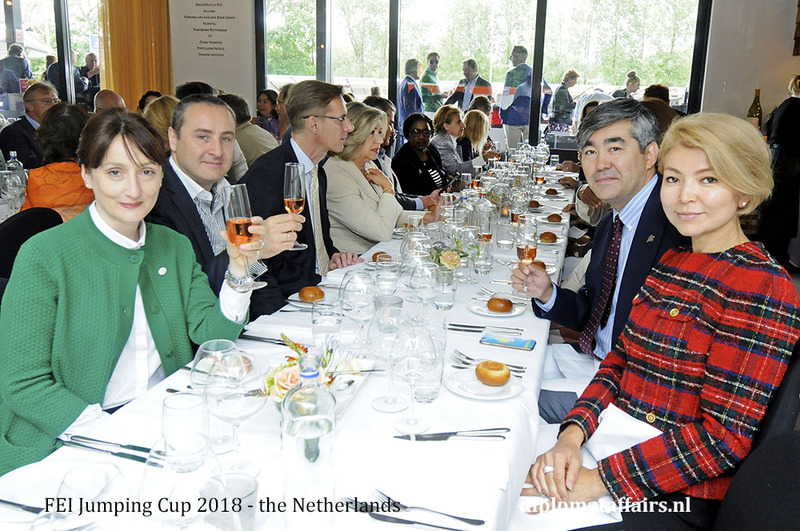 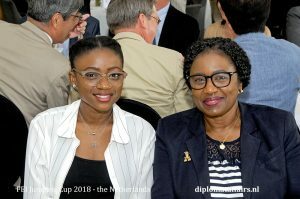 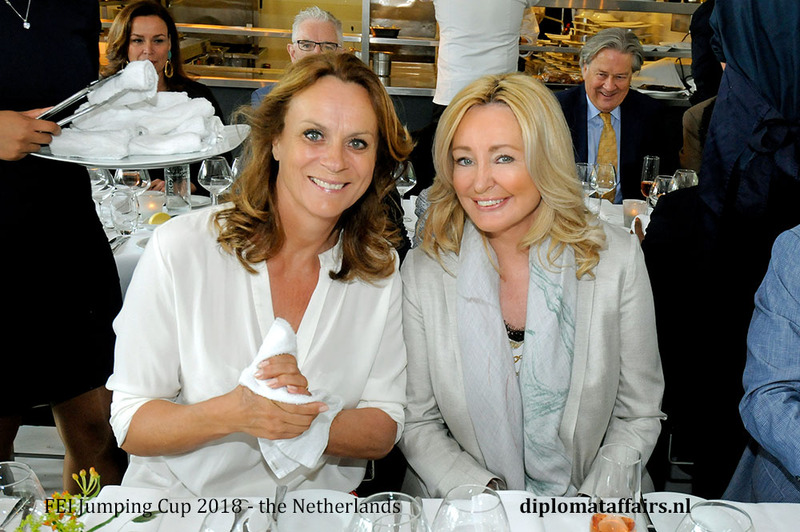 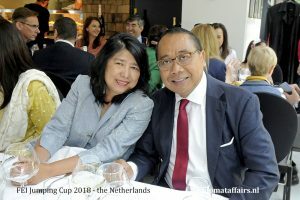 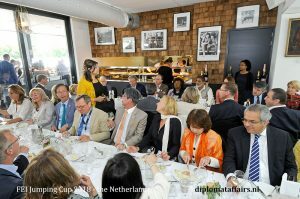 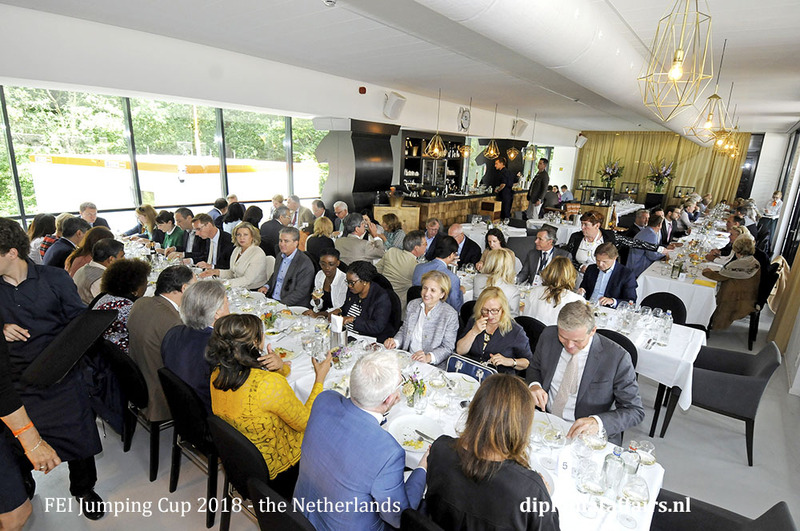 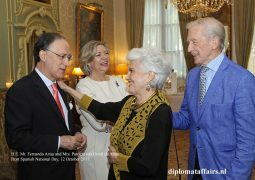 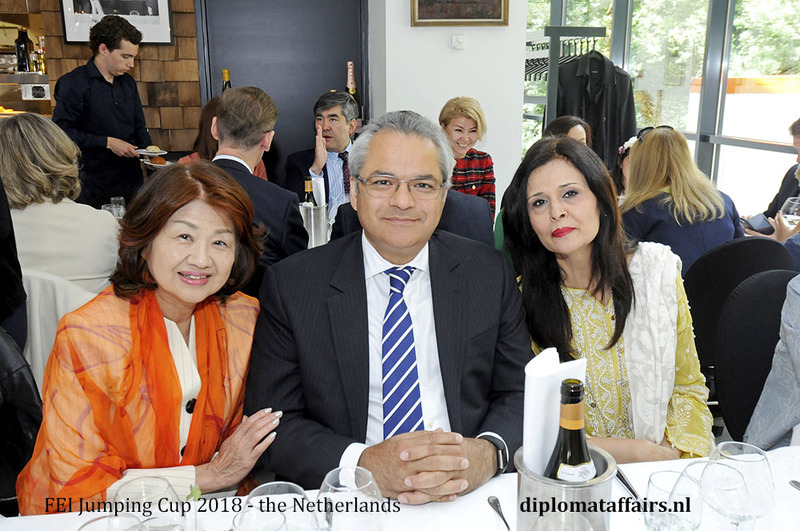 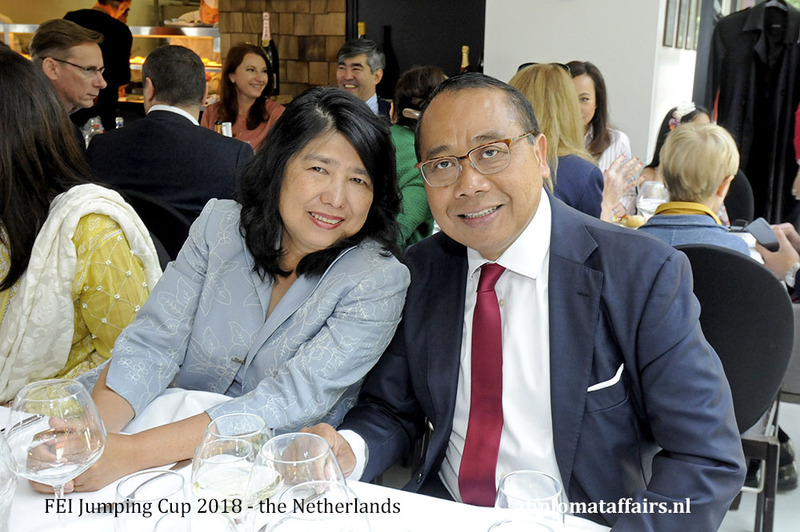 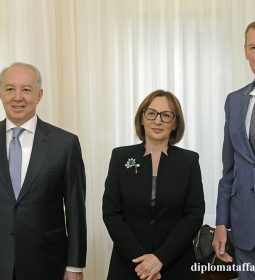 Prior to the viewing of the Horse-Jumping Cup 2018, at lunch, the founder of Diplomat Club Wassenaar Mrs. Shida Bliek, thanked the Ambassadors, His Excellency Mr. Fernando Arias González and His Excellency Mr. Ahmad Jalal Said Al Mufleh and their spouses, Mrs. Patricia van Oordt de Arias and Mrs. Reem Al Mufleh for their support to Diplomat Club Wassenaar and for their openness and friendliness within Dutch society and for being present at important events such as this FEI Horse Jumping cup. 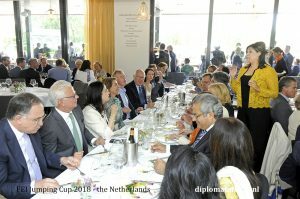 In this way links are made which greatly heighten the understanding between our cultures and the developments of bonds through Sports, Music, Art and Charity. 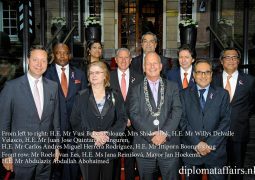 Bon voyage to His Excellency and Mrs. Al Mufleh to Jordan and good luck in their further careers. 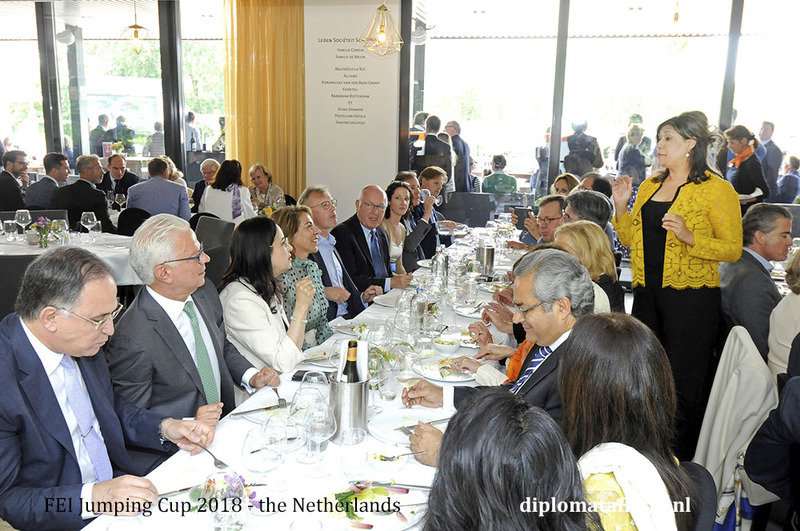 Mrs. Bliek is looking forward to the company of H.E. 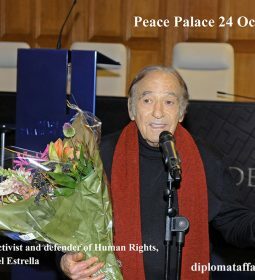 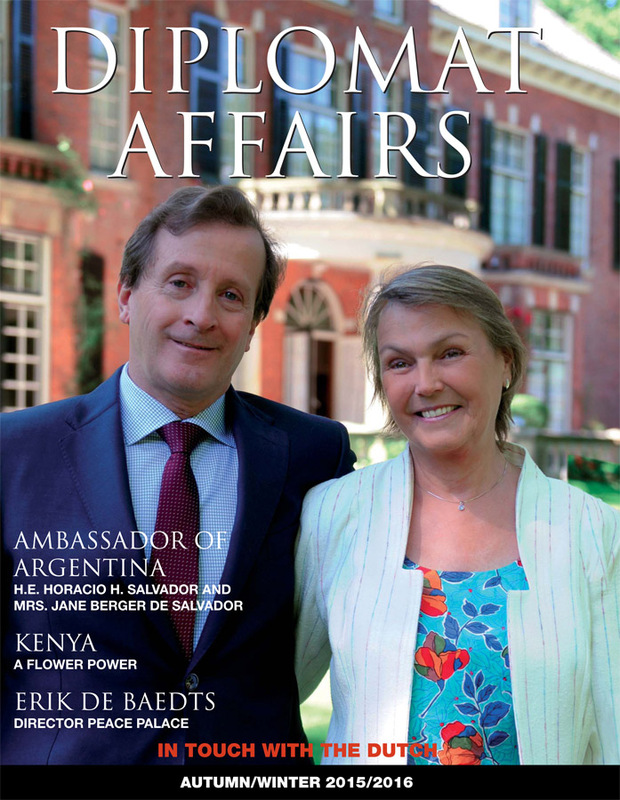 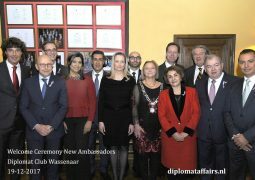 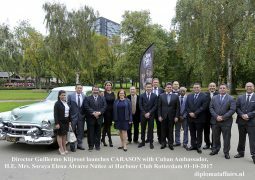 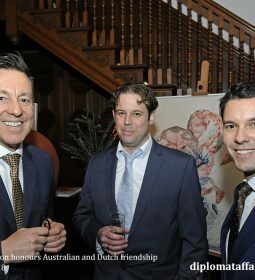 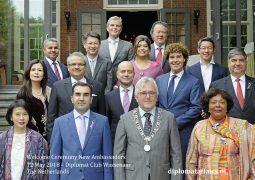 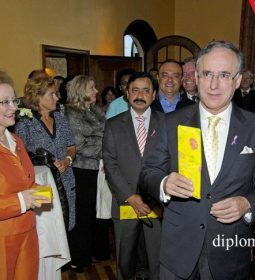 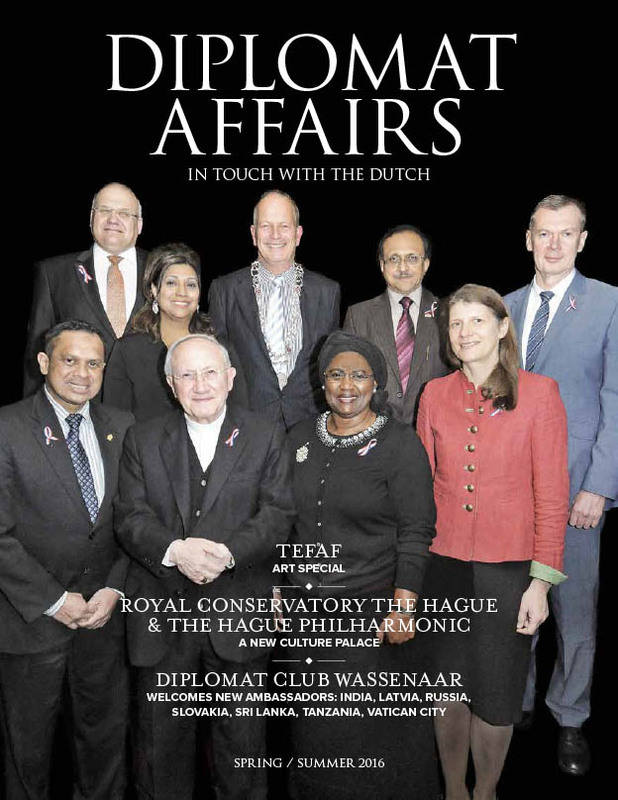 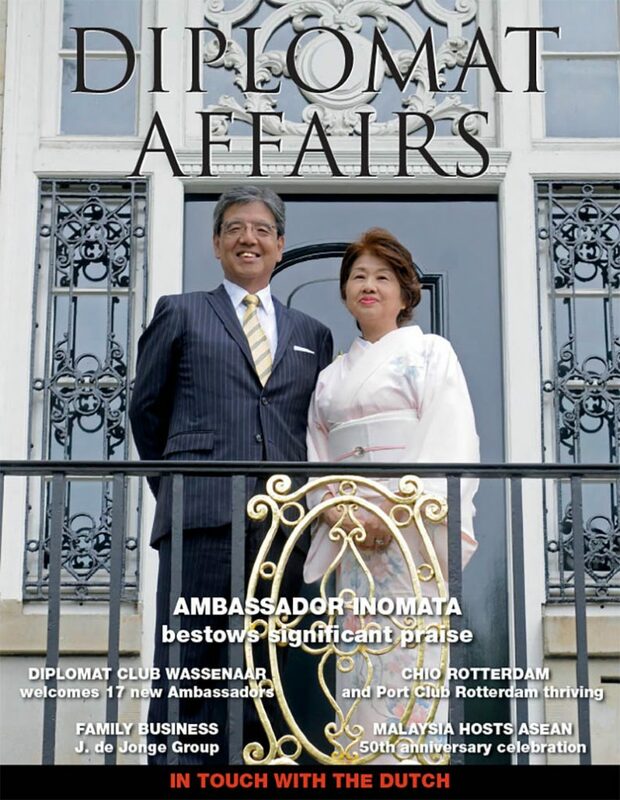 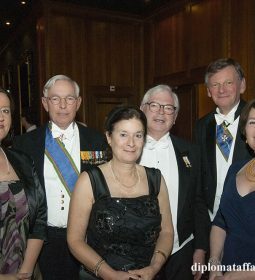 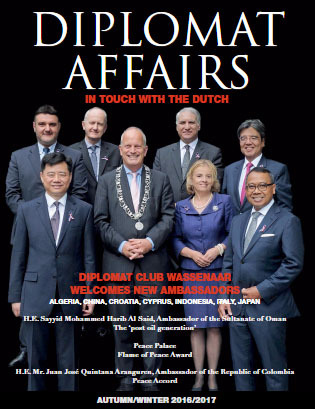 Fernando Arias González as Dean of the Honorary members of Diplomat Club Wassenaar, he was the first in the group of new Ambassadors to attend the welcome ceremony at Diplomat Club Wassenaar in 2014. 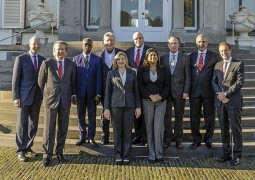 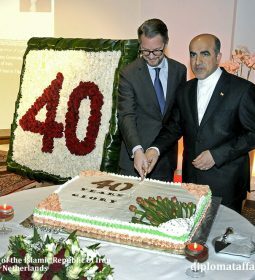 Thanks to his new appointment as Director General of the OPCW, he will remain in the Netherlands for at least another 4 years. 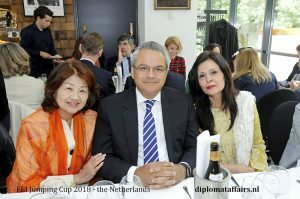 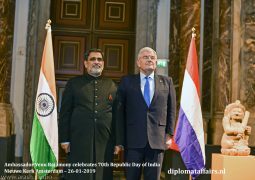 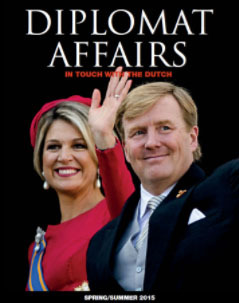 She wishes His Excellency and Mrs. Patricia van Oordt de Arias a wonderful continuation of their stay in the Netherlands.